KEY'S Racing was born from the collaboration between Italian steering wheel manufacturer ATC and the inspirational mind of professional driver Kinoshita Takayuki. KEY'S Racing's lineup consists of steering wheels and shift knobs. Commonly used in professional motorsports competitions all over Japan, the KEY'S steering wheels stand out with their original designs and bold stitching. 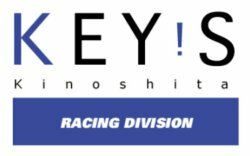 KEY'S Racing cu...READ MORE rrently sponsors and participates in a variety of racing teams and motorsports competitions within and outside of Japan.